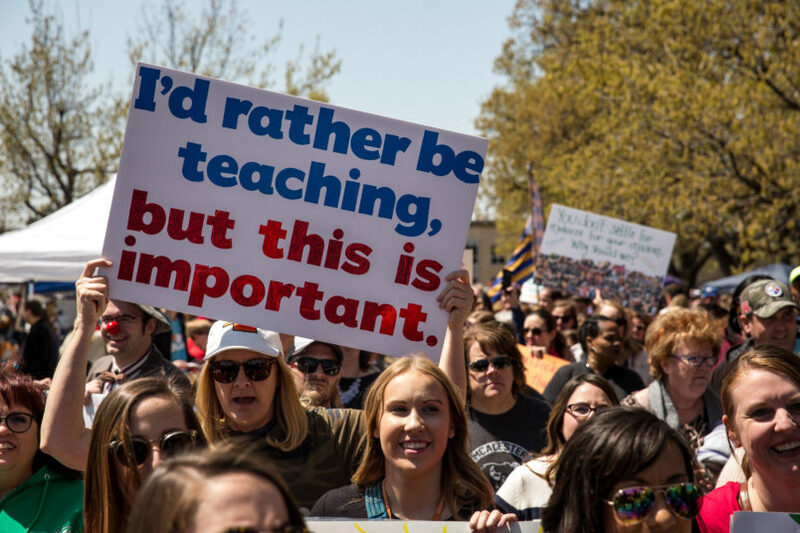 OKLAHOMA CITY (AP) — Oklahoma lawmakers were returning to the state Capitol on Monday as teachers in the state’s largest school districts entered a second week of massive demonstrations to demand more education funding. The $5-per-night lodging tax for hotels and motels would generate about $50 million annually. It’s faced opposition from chambers of commerce and the hospitality industry. Axing the capital gains tax deduction would generate about $120 million annually. The Senate sent Gov. Mary Fallin two bills Friday projected to generate $40 million more annually for education by expanding tribal gambling and taxing certain internet sales. Teachers said that wasn’t enough. Fallin already approved raising teacher pay by about $6,100. The state’s Department of Education agreed Monday to extend by week the testing period for students taking standardized tests. The testing period began April 2, but tens of thousands of students have been out of class since then because of the teacher walkout that began the same day. State Superintendent Joy Hofmeister said she hoped the extension would prevent any penalties or loss of funding from the federal government, which mandates that 95 percent of students take the tests.